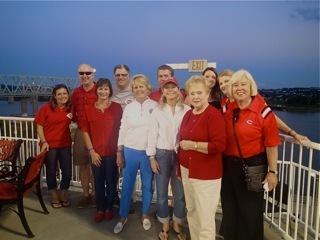 Last week, members of the CHAoC Board, LPK and US Digital Partners enjoyed an evening at Great American Ballpark celebrating the launch of the new CHAoC website. The Cincinnati Reds hold a special place in the hearts and history of CHAoC, having hosted the Red’s Rally, an annual fundraiser benefitting the Children’s Heart Association, for many, many years. After more than a year of planning and thoughtful review, we are pleased to present the new CHAOC.org. 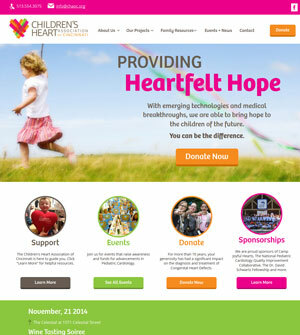 Our hope is that you will find it to be a much improved user experience, accessing all of the latest information about our work, upcoming events, and medical advancements being made in pediatric cardiology. More than anything we want this site to be a source of hope and encouragement for families facing congenital heart disease. Check out our new mobile site. Those using a mobile phone or tablet will now have access to all the same features as a desktop user, making it easier than ever to communicate with us.